As mentioned before we love animals and adore our pets. Being animal lovers we wholeheartedly believe that caring for animals is extremely important. We believe that being a pet owner carries an important responsibility and that if you take on the role of being a pet owner and welcome an animal into your home that you should ensure that the animal’s wellbeing, health and happiness is catered for. As they say ‘a dog is for life, not just for Christmas’, which we believe applies to all animals as having a pet is a lifelong commitment and responsibility. Lintbells who make natural products of tasty, nutritional supplements for pets that are proven to improve their health, also believe that animal wellbeing is of the upmost importance. They believe that it is vital to ensure a pet’s needs are met. 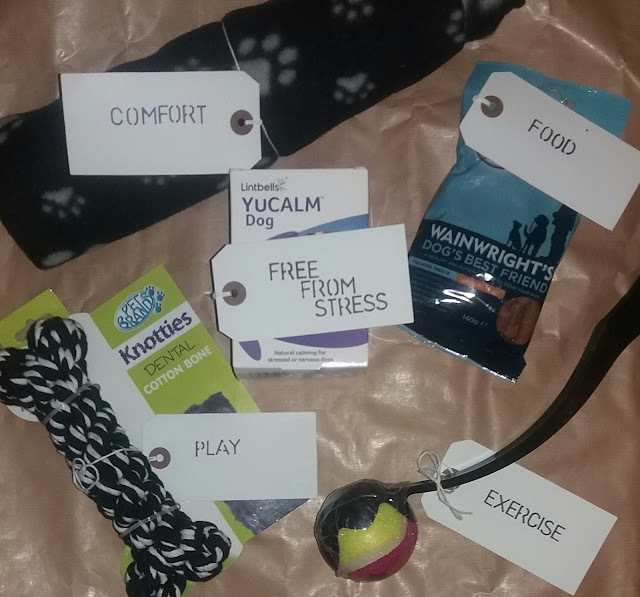 When looking at dogs in particular Lintbells consider the following 5 elements vital for dog happiness - food, exercise, play, comfort and free from stress (helped by YuCALM Dog). Whilst most people might assume (and hope) that pet dogs lead a comfortable, content and happy life a National Dog Happiness Survey* carried out by natural supplement company Lintbells which questioned almost 2000 dog owners about their dog’s happiness found that this isn’t always the case. The survey found that 9% rated their dog’s happiness at 6/10 or less - not quite the happy go lucky life we wish pet dogs have. After moving house and the arrival of a new household member, firework noise was identified as one of the main triggers – with 48% of respondents claiming most dogs would be stressed by this and another 9% claiming their own dog is upset by fireworks but think this is unusual and doesn’t apply to most dogs. With fireworks season about to hit our furry friends are sadly going to be going through an anxious time. 1. Do – keep your dog safe indoors and ensure they have identification such as a registered microchip and a collar with a disc including your contact details: 37% of survey respondents said their dogs are likely to react to stress by running away. 2. Do – provide a safe hiding place indoors (such as a tent or pet bed in a quiet, secluded part of the house): 56% of dog owners told Lintbells that their dogs tend to react to stress and anxiety by cowering or hiding. 3. Do – act calmly and normally, providing too much fuss can reinforce the idea that there is something to be afraid of. 4. Do – make sure the environment is safe if your dog starts to react in an uncharacteristic way: 13% of survey respondents said their dogs become destructive when stressed. 5. Don’t - keep the house in silence, a radio or TV can help mask the noise of fireworks. 7. Do – draw the curtains or blinds and if necessary drape over additional fabric to muffle noise and flashes of light. 8. Do – take your dog for a long walk during the day so they are more likely to rest or sleep in the evening. 9. Do – think about using a supplement or other aid to help your dog feel calm and relaxed. 10. 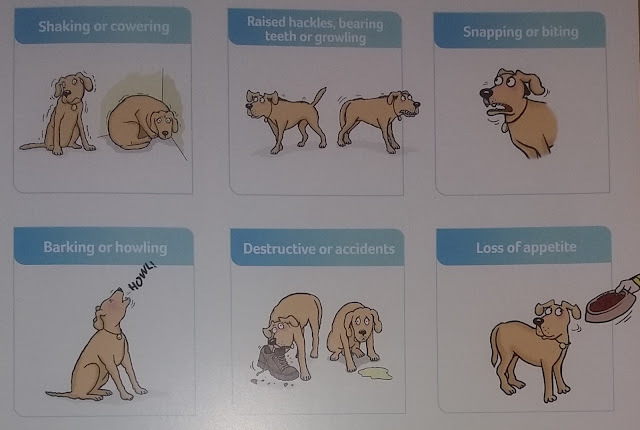 Do – ask your vet or certified animal behaviourist for advice about longer term training which can include desensitisation (helping your dog to become accustomed to triggers over time by slowly building up their exposure) and counter conditioning (helping your dog to start associating a fearful event with positives rather than negatives). 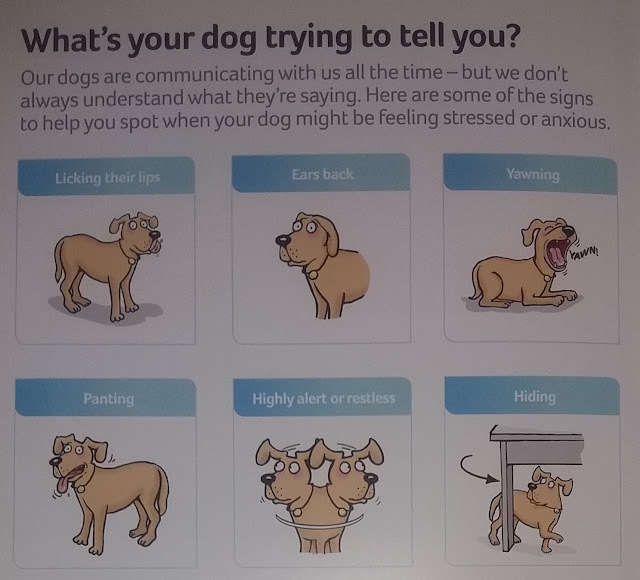 Lintbells have also highlighted signs to look out for to recognise when your pet dog is feeling stressed and anxious. 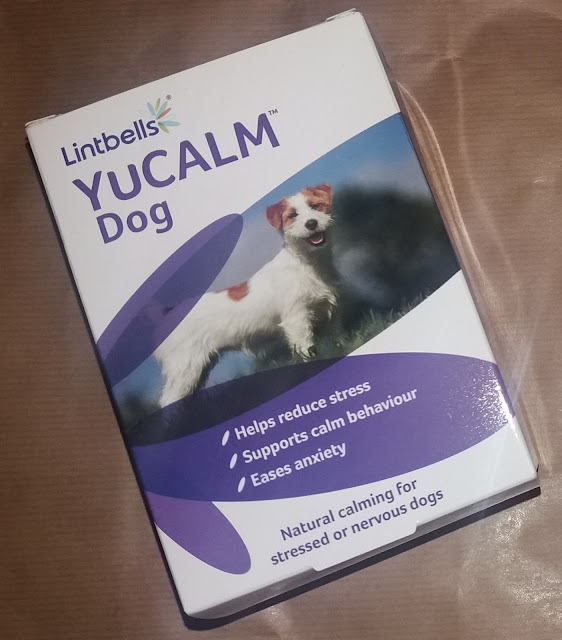 Lintbells has launched a new natural calming product YuCALM Dog, which complements the company’s best-selling and very successful joint and skin supplements - YuMOVE and YuMEGA. The new, natural supplement YuCALM offers an effective way to help reduce stress which helps dogs feel happier and calmer. YuCALM Dog can be given short term to combat a specific trigger event – such as holiday travel or during firework season – or for as long as it is needed by dogs with nervous or fearful temperaments or more long standing problems. Once dogs are calm and relaxed they are more likely to be receptive to other training based interventions that allow further improvements. YuCALM like the other products made by Lintbells has been been perfected through extensive trials carried out in collaboration with specialist universities and veterinary behavioural experts. YuCALM’s unique formula of scientifically proven natural ingredients includes L-Theanine which supports production of calming compounds in the brain. One of those calmers is dopamine – the ‘feel-good’ chemical messenger involved in the pathways controlling reward and pleasure. Lemon Balm has an effect on GABA levels which exerts a calming effect by dampening down some of the signals travelling through the brain. High quality fish protein is also used to support brain function, as well as also acting on GABA and dopamine levels. YuCALM Dog is available from veterinary practices, pet shops and online retailers. For further information on YuCALM Dog, please visit www.lintbells.com or call 01462 416866 to talk to the experienced advisers on the Lintbells team. Is your dog anxious during fireworks season? * Lintbells National Dog Happiness Survey was conducted online in September 2016 and 1956 dog owners took part.